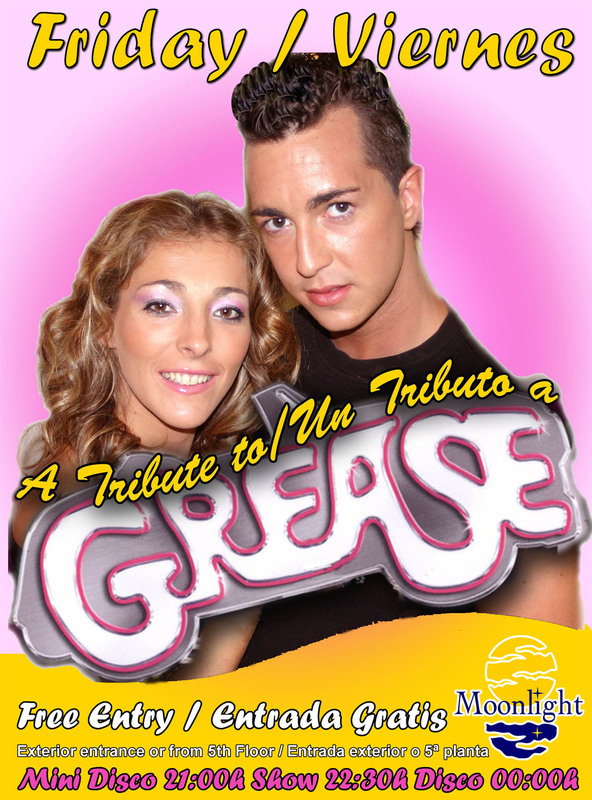 Our on-site entertainment team have been working hard for weeks preparing their new show; A tribute to Grease. Last week was the premiere and from what we’ve heard the Rocio and her team have done a great job; the show was packed! If you missed the show last week, don’t panic; the show will be on every Friday evening over the summer at our Moonlight Bar here at Sunset Beach Club. Join Danny, Sandy and the rest of the T-Birds and Pink Ladies for an evening of great music and dancing! The show starts at 10:30 pm and entrance is free. Just make sure you get there early so you get a good seat! One hundred and sixteen minutes; that’s what it took the Spanish team break the solid Dutch defence last night! It wasn’t the most beautiful of football matches but it was definitely intense. 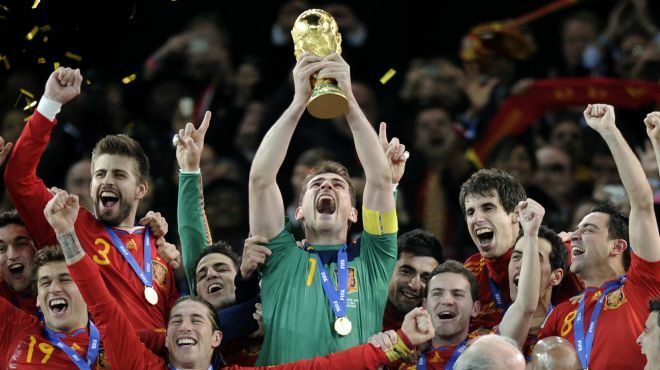 The boys in red made us suffer – a little too long for my liking – but Iniesta’s goal 4 minutes away from the dreaded penalty shootout means that Spain win the world cup for the first time in history and complete a well deserved double after winning the European Championship 2 years ago. What a week! 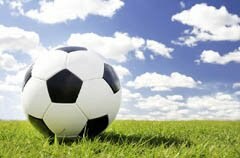 World cup & Weddings Galore! 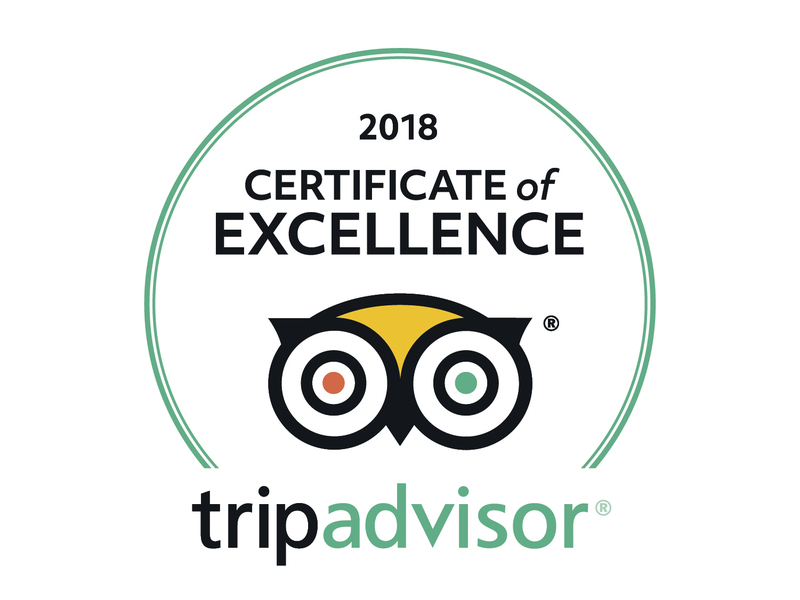 Well it’s been such a busy week here at the hotel we’ve barely had chance to blog! 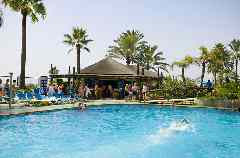 July has arrived and with it so has the scorching Spanish Summer sunshine. But there’s more to Sunset than just great weather, this week we’ve had weddings taking place on Wednesday, Thursday and a seafront blessing planned for later on this afternoon so the resort is buzzing with blushing brides. Also of course with the World cup final looming, the atmosphere is tense as the staff and guests alike wait in suspense to see if Spain can go all the way and win the cup. We’ve had a great turn out for both semi final matches in the Moonlight bar, and will also be showing the final there this Sunday as well as the third place play-off match on Saturday night. Let’s hope Spain can give us a fantastic finale to the week! Today is make or break for World Cup groups G and H. The final matches of the first round take place today and will decide the qualifying teams that will make it through to the knock out stages next week. 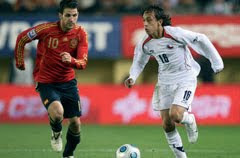 The four o’clock kick off promises to be an exciting game as Portugal take on Brazil, followed by the 8.30 game between Chile and España which is sure to have the local bars and streets alive with tension and torment! What a whirlwind of a Wednesday! 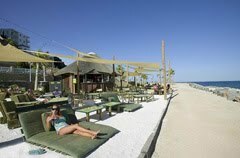 Salitos is our popular chillout bar by the sea. Located just minutes away from the pool, it’s just a short walk along the seafront promenade in the direction of Torrequebrada. Opened in 2009, it proved very popular last Summer and has recently re-opened it’s doors for the 2010 season. This year Salito’s is better than ever with lots of parties and weekend DJ sessions as well as it’s second to none location and atmosphere. This Saturday, 5th June, will be the grand opening, celebrating the one year anniversary of it’s existance. Be sure to pass by from 5pm onwards, where you’re sure to enjoy a fantastic evening! Salitos in the sun by the sea! It’s here! 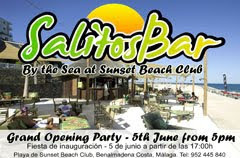 Bar Salito’s is ready and raring to go for the Summer season 2010! Opening party will be this Saturday (14th May) from 3pm onwards, with canapés and cake to celebrate it’s first birthday! If you have been before, you don’t know what you’re missing, Salitos is located right by the sea, infront of the hotel in the direction of Torrequebrada. If you’re on the Costa del Sol this weekend make sure to check it out! Yes it’s that time of year again! 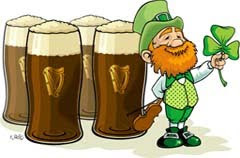 St Patrick’s Day 2010 falls on Wednesday 17th March, and of course here at Sunset we’ll be celebrating in style! So if you’re in the area and looking for a great night out, check out our special menu. The first sure sign of the Summer season has arrived. The pool bar opened yesterday for the first time this year and will be now be open for drinks and ice creams all day everday (weather permitting). Our staff Christmas party went down a storm last week! 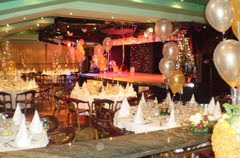 Held in our Moonlight bar, it was beautifully decorated and we enjoyed an enormous and very well presented buffet prepared by our very own, very talented chefs!